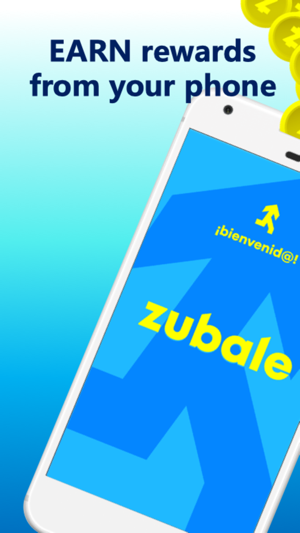 Zubale is free, fun and easy! Find and complete tasks nearby and earn rewards. 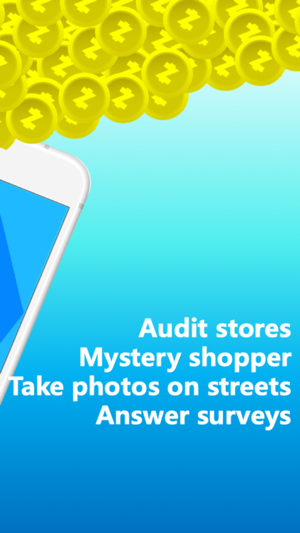 Earn by answering surveys, taking photos at stores, checking prices, stocking shelves. 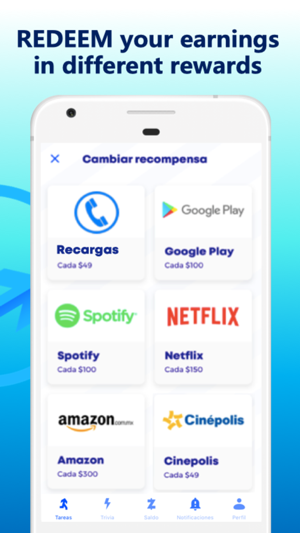 Once you earn, you can cash out your balance for Amazon, Uber, Netflix, Starbucks, Google Play, YouTube, Spotify, or mobile phone data and others. What are you waiting for to start earning? 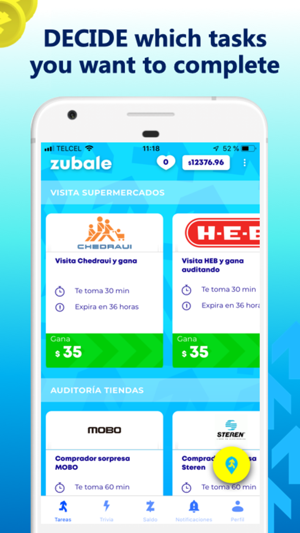 Download Zubale now and join the thousands of people who are earning already today! We updated our design on the profile screen, we also added user levels, we hope you like it! Antes ponían muchas encuestas, ahora hasta desbloquearlas y al desbloquearlas te aparece error, bah. 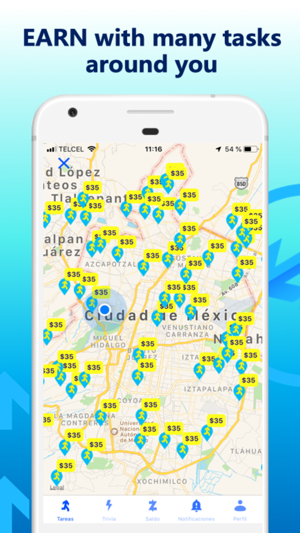 La mejor App para ganar!